Baguio City — Love the altar while you are still seminarians because you will be attached to it when you become priests later on. This was the message of Bishop Victor Bendico to formands of Casiciaco Recoletos Seminary during the pontifical mass he officiated there on the occasion of the Solemnity of St. Augustine last August 28, 2018. 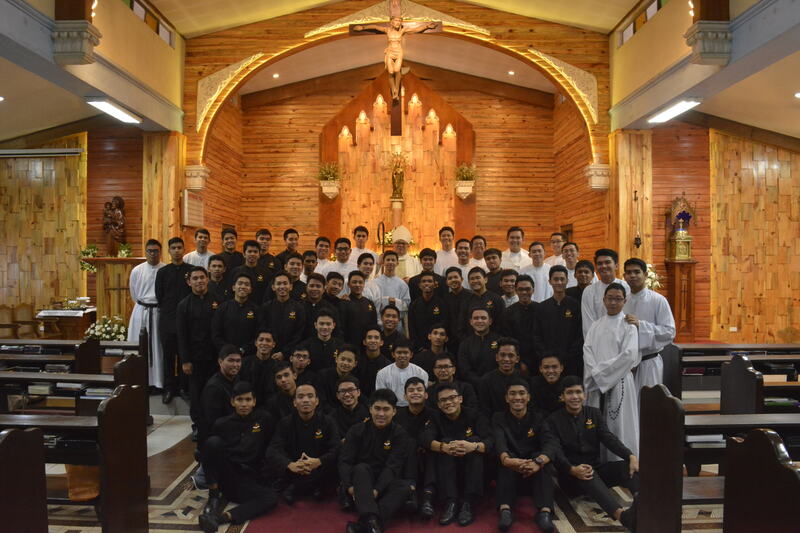 “As priests someday, the altar will be your place of consolation especially when you find yourselves in situations of injustices,” the bishop told the seminarians. It was Bishop Bendico’s second visit to the seminary since his installation as Bishop of the Diocese of Baguio in January 2017. He first came and said mass at the seminary chapel on Dec. 5, last year’s Foundation Day Anniversary of the Order. “As future priests, you will be attached to the altar,” he said, urging them to find refreshment in Jesus at the altar whenever the loads of future ministry become heavy and burdensome. Bishop Bendico started his reflection on the importance of the altar table with the words of the dying St. Monica to her son Augustine, telling him to bury her wherever he wanted but asking only that he remember her at the altar of the Lord wherever he may be. Aside from its sacrificial character — the altar being the table of the sacrifice of Jesus —, the bishop also emphasized its social dimensions. “We can readily notice the social dimensions of the altar whenever we celebrate masses for various social or civil needs,” he said, enumerating as examples masses offered for the preservation of peace and justice, for refugees and exiles, for victims of calamities and poverty. 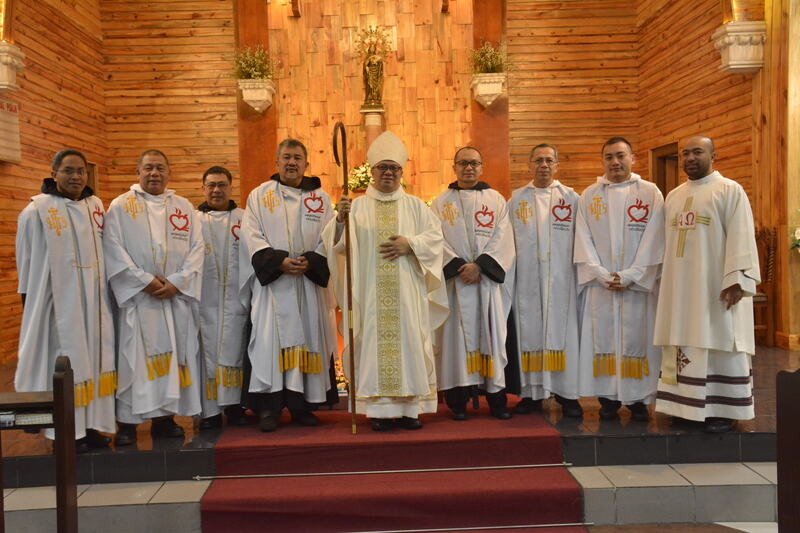 The bishop said that the role of the priest finds its fulfilment in the altar. “Without the priest, without the Eucharist, without the altar, what will happen to the people of God?” the bishop asked, quoting St. John Mary Vianney, patron of priests, who said that people would worship beasts if there were no priests to tend them. Before the final blessing, Seminary Rector Fr. Bernard C. Amparado, OAR thanked the bishop for coming over and celebrating the feast of St. Augustine with the community. “We, too, are your flock and we love listening to your wisdom,” Fr. Amparado told Bishop Bendico.